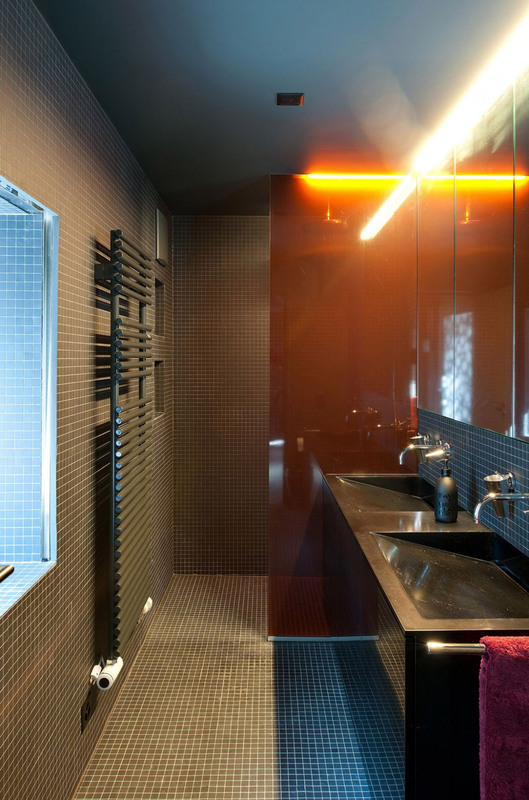 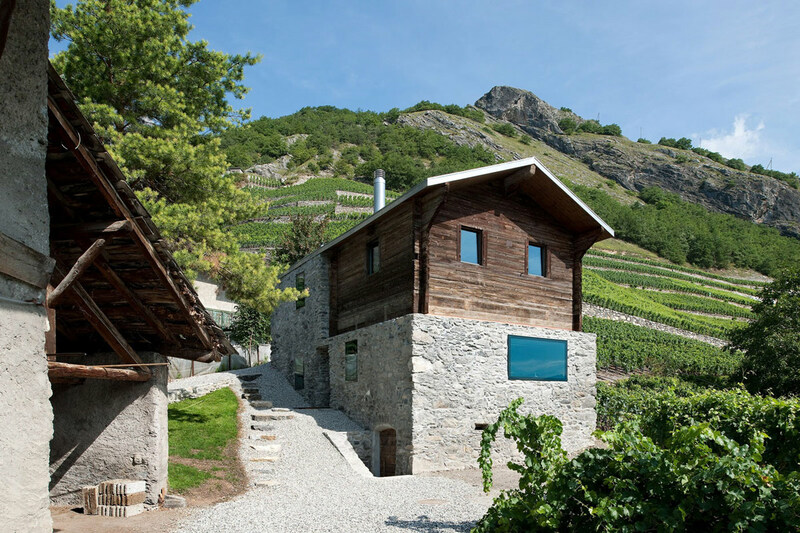 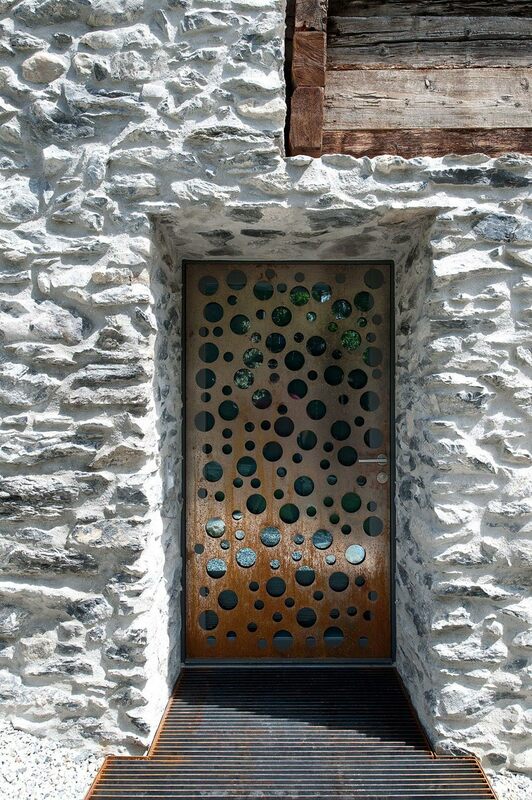 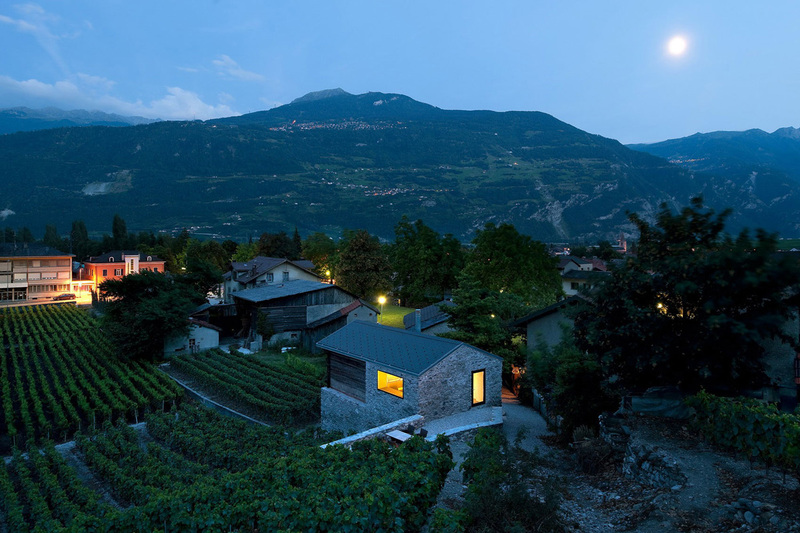 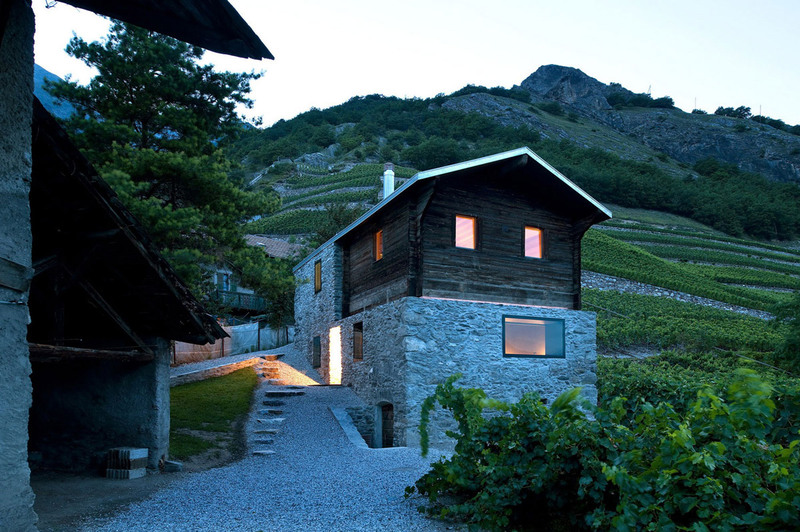 The Germanier House was completed in 2009 by the by the Sion based studio Savioz Fabrizzi Architects. 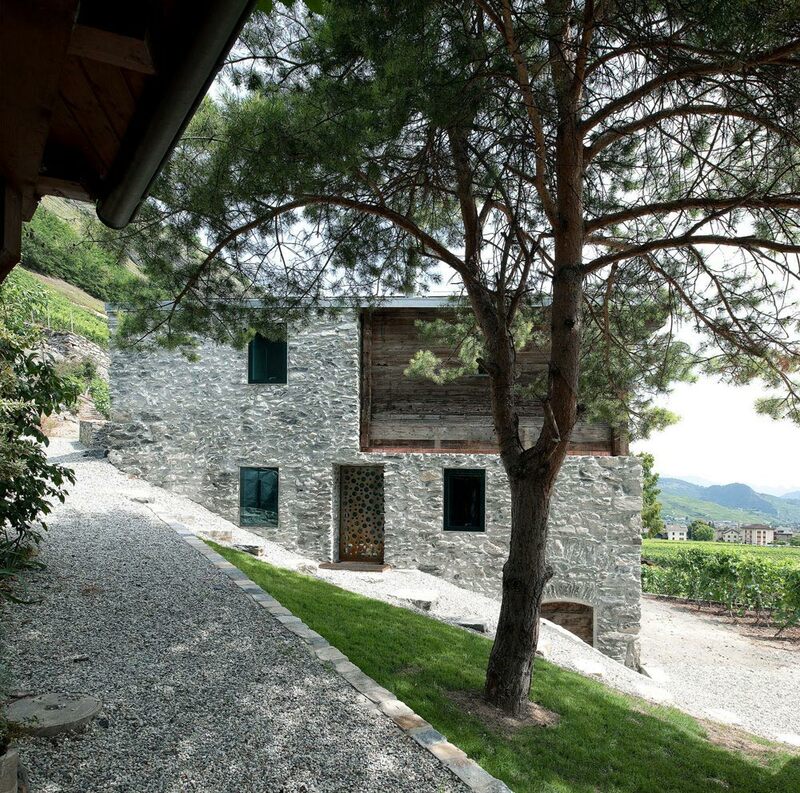 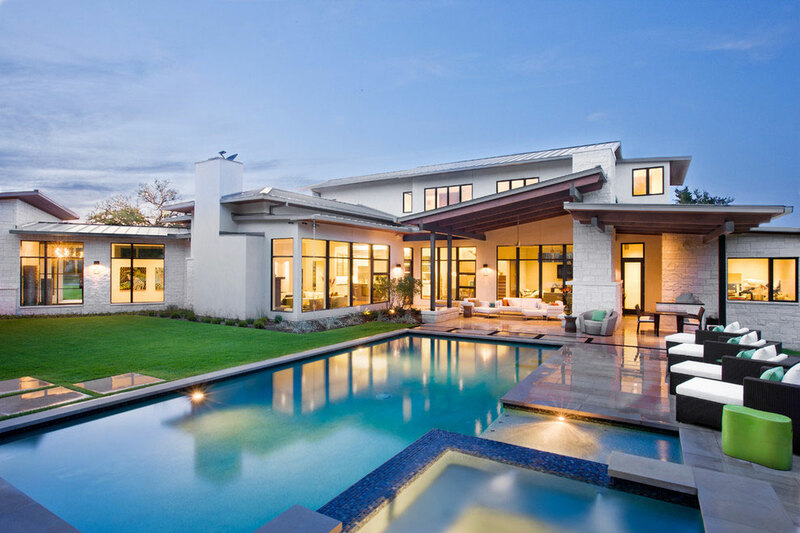 This project included the renovation of an original wine grower’s home dating back to 1850. 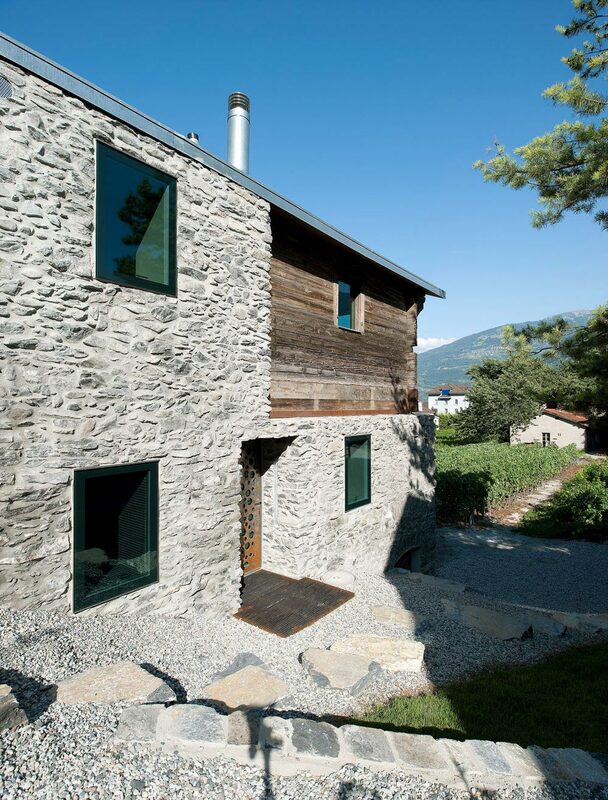 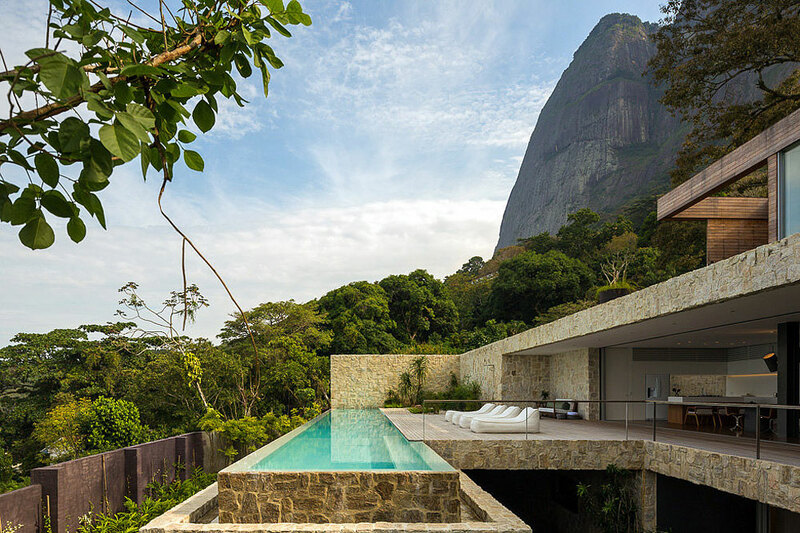 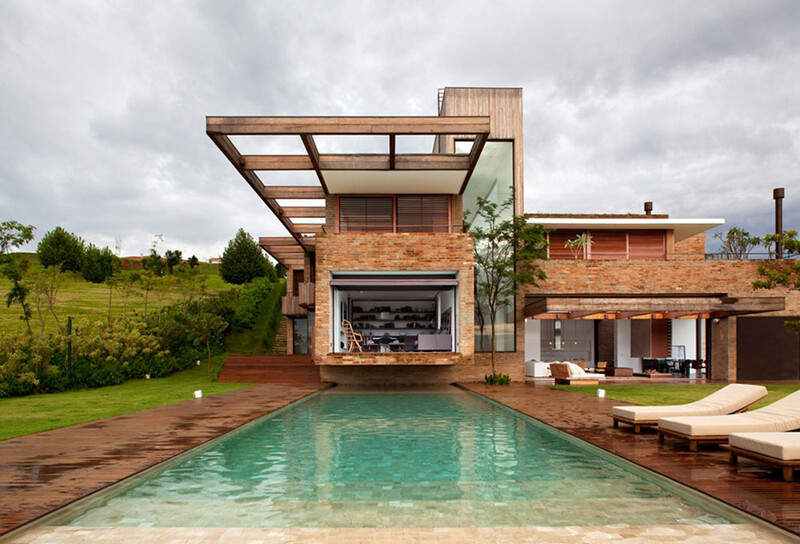 The house consists of natural stone masonry with a timber structure on the upper level. 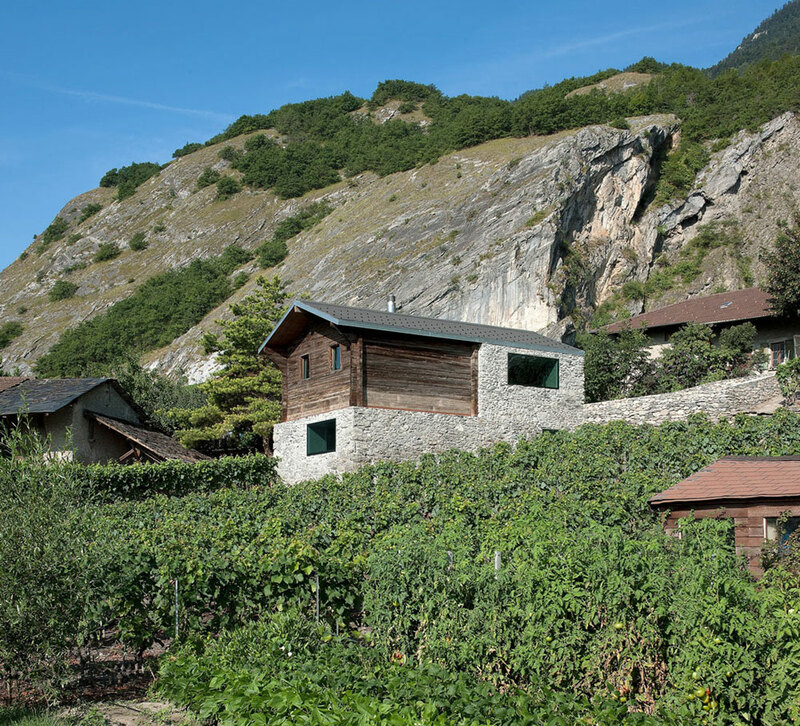 The Germanier House is located in Vétroz, Switzerland. 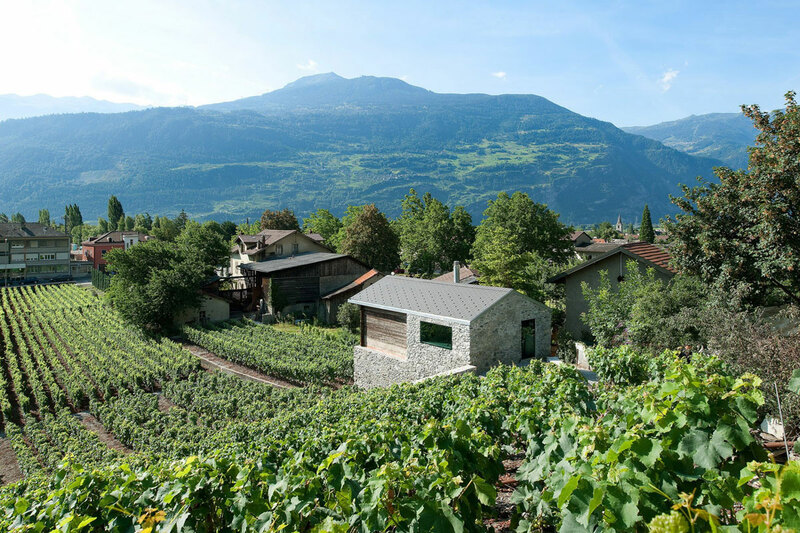 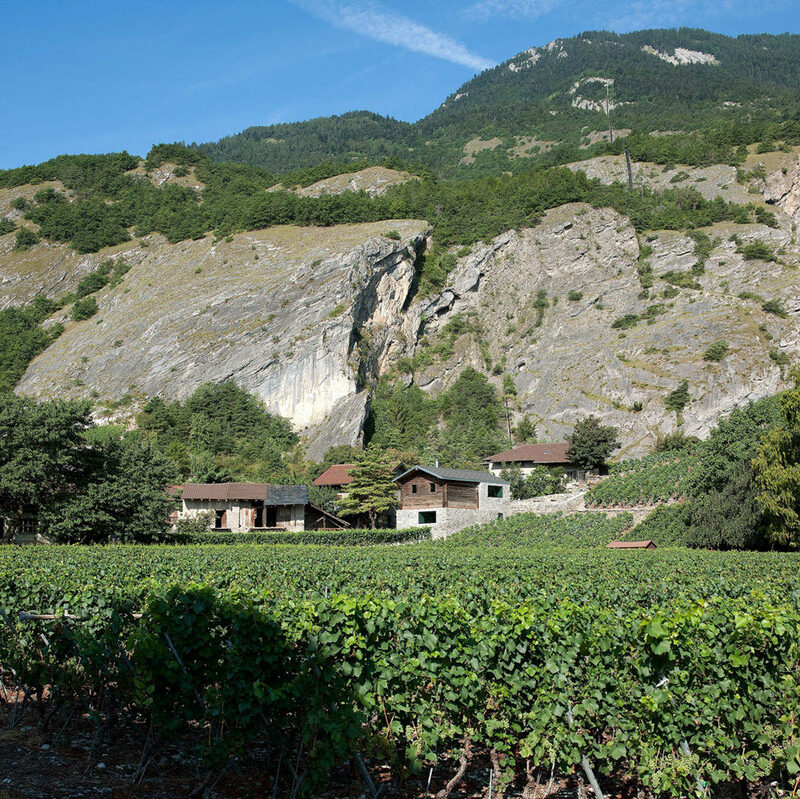 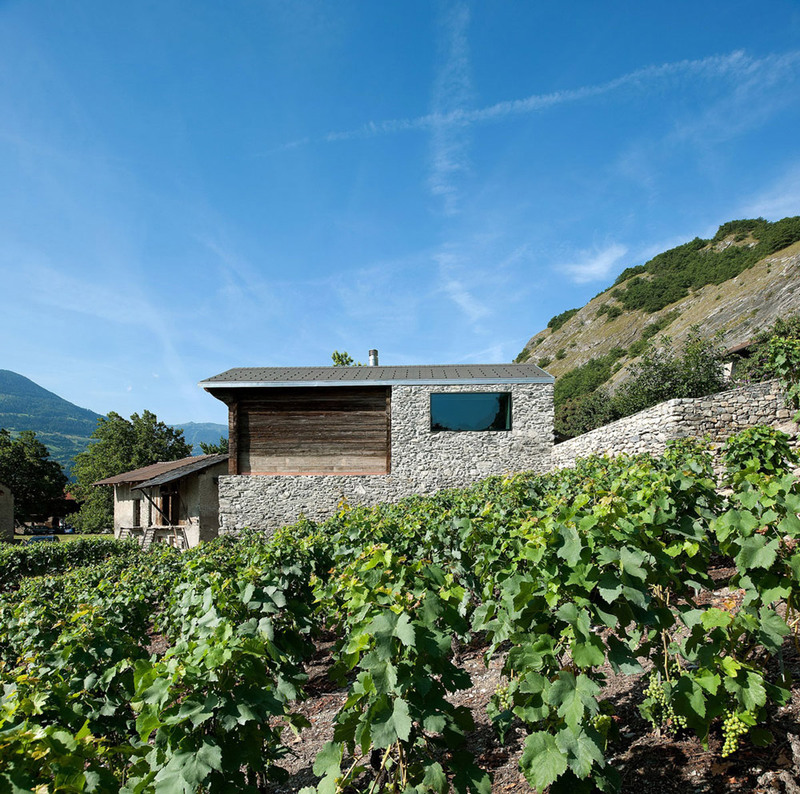 “Vétroz, in the heart of the Valais, boasts 170 hectares of vineyards. 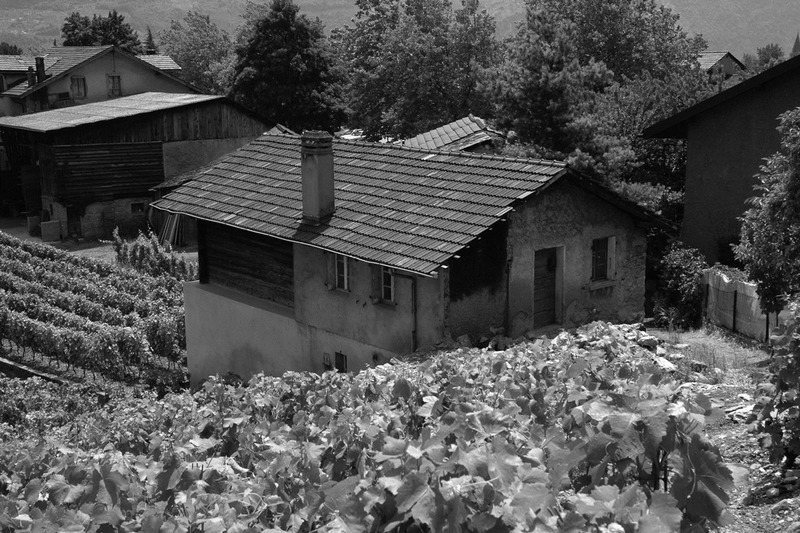 Maison Germanier, which dates from 1850, was originally the home of a wine grower and stands on a beautifully sunny, sloping site among the vines of the “pays de l’amigne”. 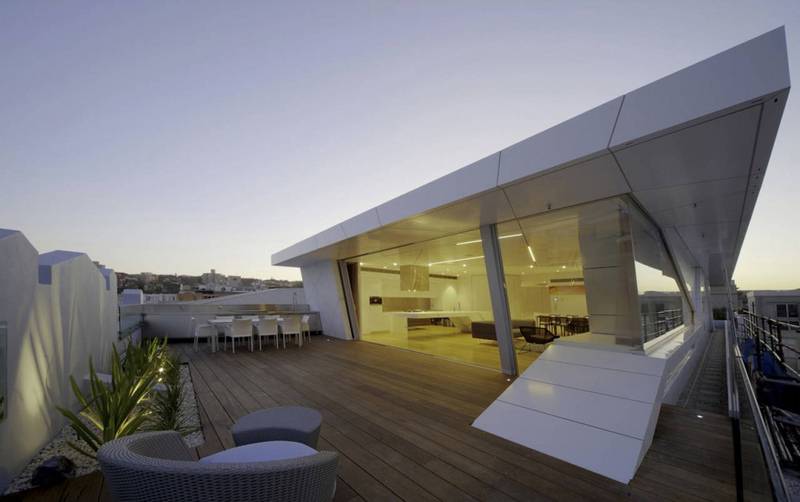 The present owner of the building wanted to have it renovated. 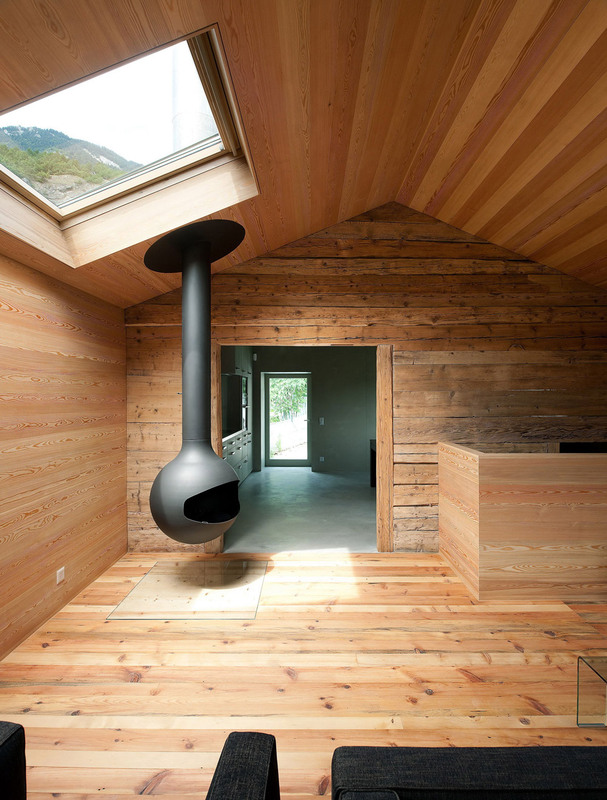 The house consists of a substructure in rubble masonry, with a timber structure above. 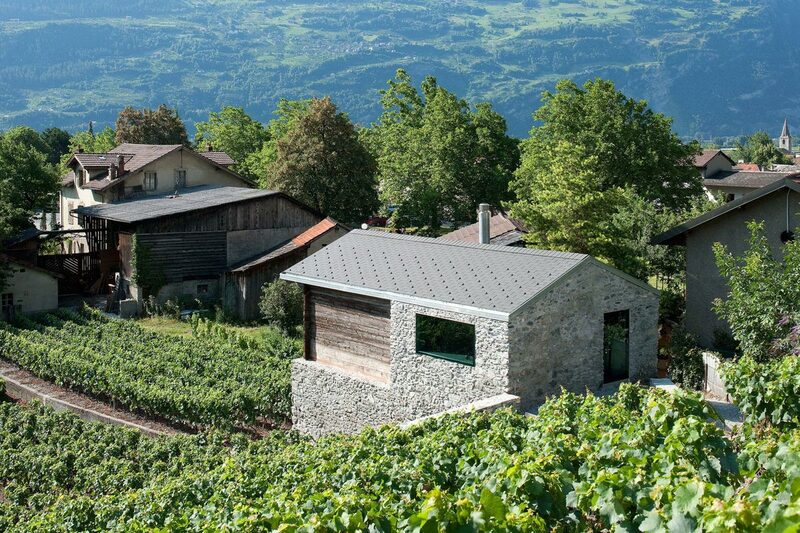 The stone part traditionally accommodated the premises associated with the land (wine cellar, stores for tools, foodstuffs, etc. 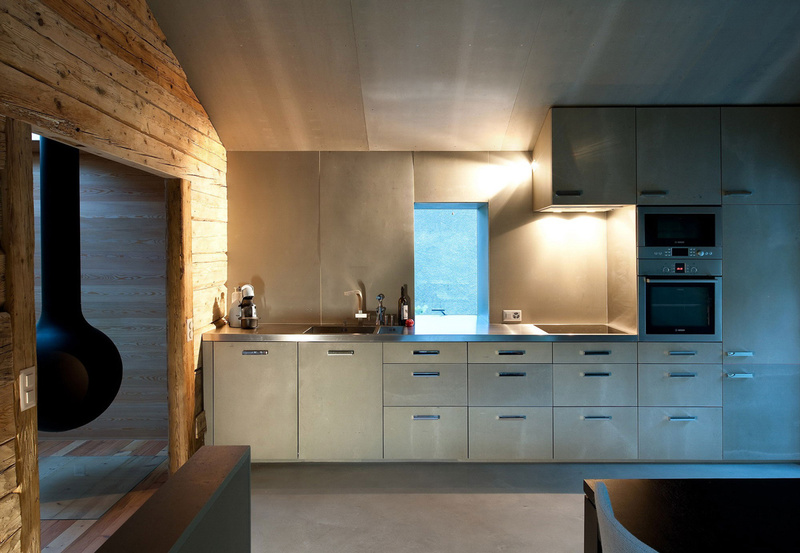 ), while the wooden part was the ideal envelope for the living spaces. 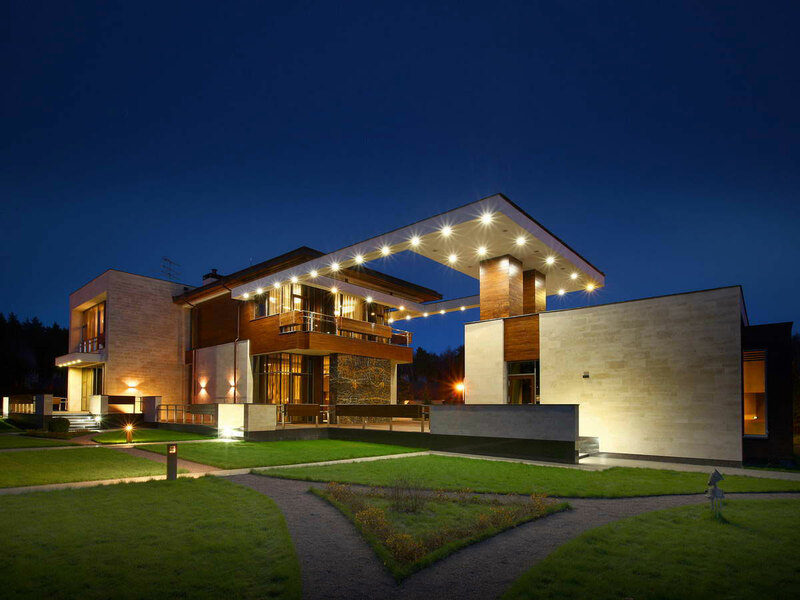 The elements of the new project were designed with this traditional division of the building in mind. 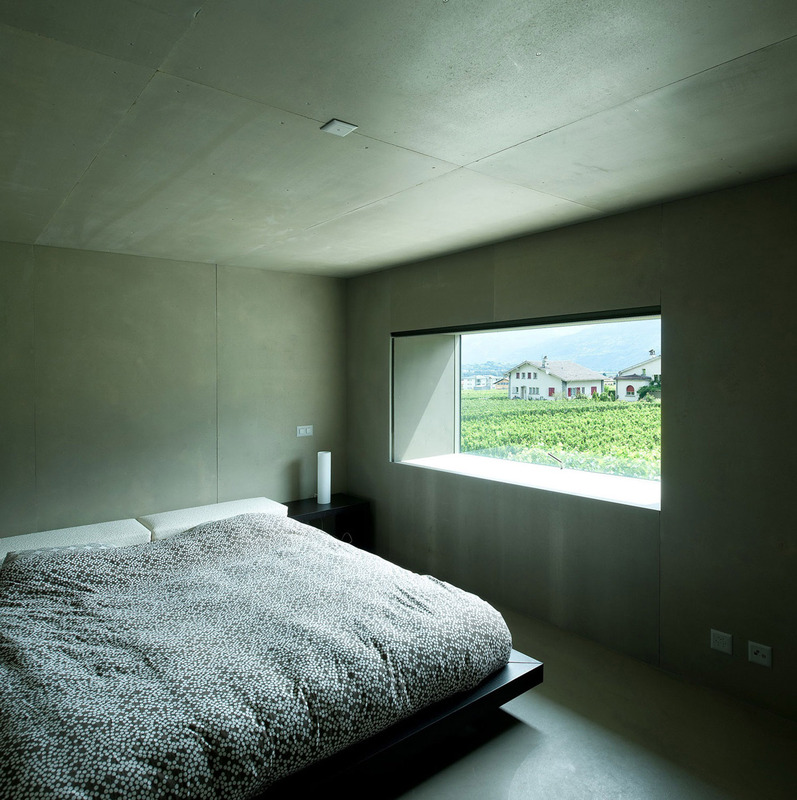 The daytime-use areas are in the upper part of the building and the bedrooms are on the intermediate level.